If you are like most parents, you place the highest priority on the well-being of your children. The attorneys at Mavrides Law share your child custody and support concerns. 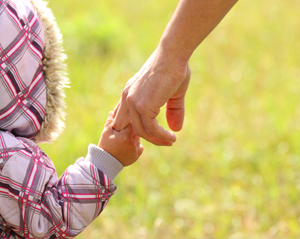 Mavrides Law works to help its clients achieve custody and visitation solutions that enable them to enjoy rich and meaningful relationships with their children. For an initial consultation about a child custody and support or visitation matter, contact Mavrides Law. Massachusetts law recognizes the right of parents to enjoy continued and vital relationships with their children after divorce. Absent domestic violence or other issues that may endanger the emotional or physical welfare of a child, Massachusetts law favors the right of both parents to enjoy meaningful relationships with their child after a marriage ends. As your advocates, Mavrides Law will work hard to protect your parental rights. Mavrides Law has found that negotiated solutions to issues involving child custody and support, visitation and parenting time can provide many benefits for parents and children. Whenever possible, the firm tries to achieve practical and mutually acceptable solutions through negotiation or mediation. Your attorney will work closely with you to learn about your needs and those of your children. Mavrides Law will pursue the best solution possible. The firm is skilled at developing creative solutions to questions involving custody, visitation and parenting time. Attorney Marcia Mavrides has more than 30 years' experience in the field of family law. During that time, she has earned a reputation as a strong and assertive advocate in litigation involving child custody matters. If your case cannot be resolved by other means, Ms. Mavrides will vigorously represent you in court to protect your rights and work toward your goals. Mavrides Law has offices in Quincy and Boston, Massachusetts. To speak with a lawyer about a child custody or visitation dispute, contact Mavrides Law at 617-723-9900 or contact the firm by email.